Salmonellosis is the illness caused by consuming food contaminated with Salmonella. 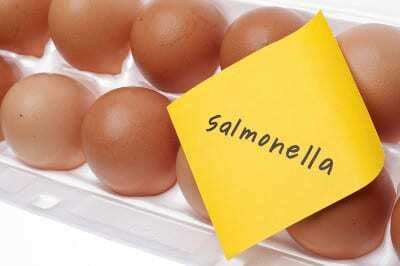 Young children and older adults have a higher risk of being affected by Salmonella. Potential food sources for Salmonella outbreaks include eggs, poultry, meat, unpasteurized milk or juice, cheese, and contaminated raw fruits and vegetables. Symptoms usually appear within 6-48 hours and can include diarrhea, fever, abdominal cramps, and vomiting. The illness usually lasts 4-7 days and in most cases individuals will recover without treatment. However, more severe cases can occur when the Salmonella infection spreads from the intestines into the blood stream and to other parts of the body. When this occurs, Salmonella can become deadly unless the person is promptly treated with antibiotics. Most people infected with Salmonella only need fluids to recover in less than a week. Severe infections may require medical care including IV fluids and sometimes antibiotics. There is no vaccine to treat Salmonella. People should not eat raw or undercooked eggs, poultry, or meat. People also should not consume raw or unpasteurized milk or other dairy products. Produce should be thoroughly washed. Also, wash hands, knives, countertops, and cutting boards after handling and preparing uncooked foods. Were You Affected by Salmonella? If you or a loved one has experienced Salmonella food poisoning call the food poisoning lawyers at Feeney Law Firm. 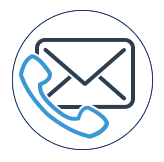 Go to our food poisoning lawyer page to learn more or call us today for your free consultation.